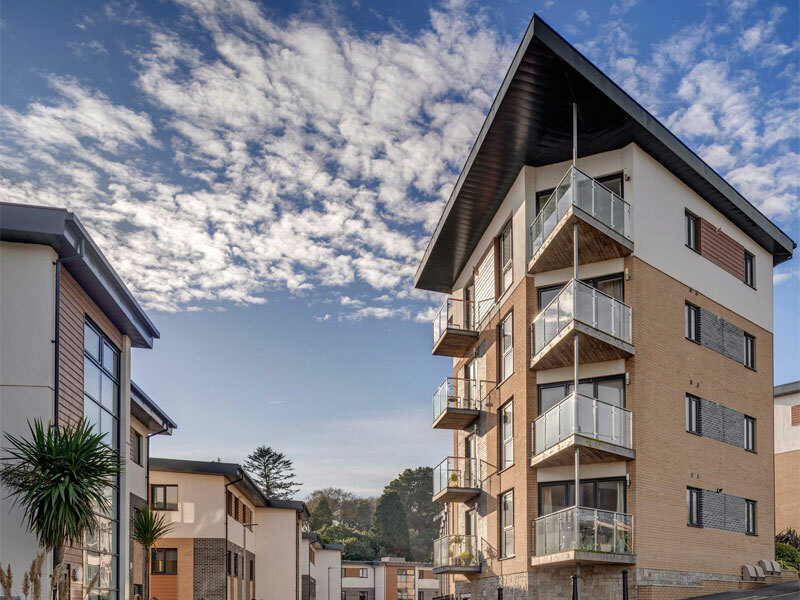 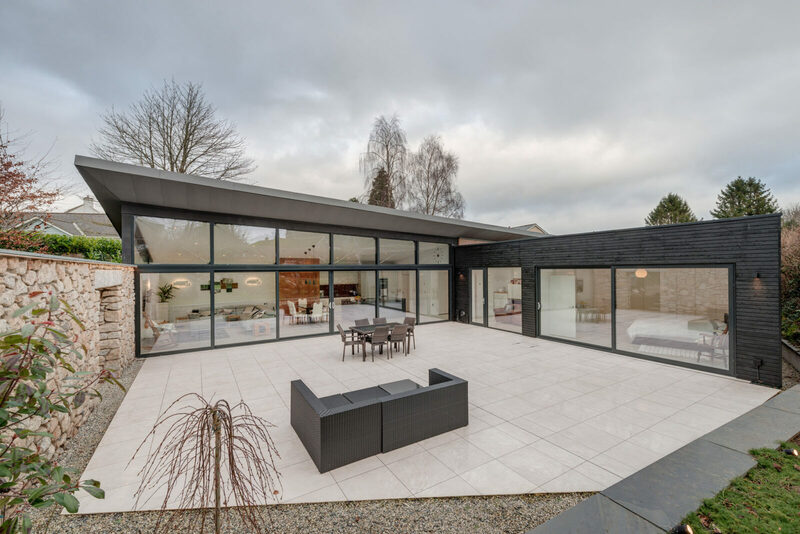 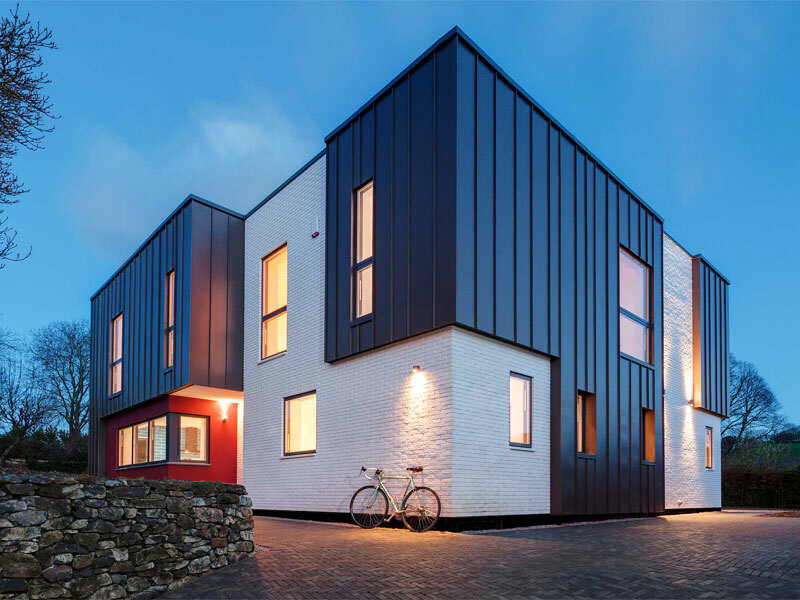 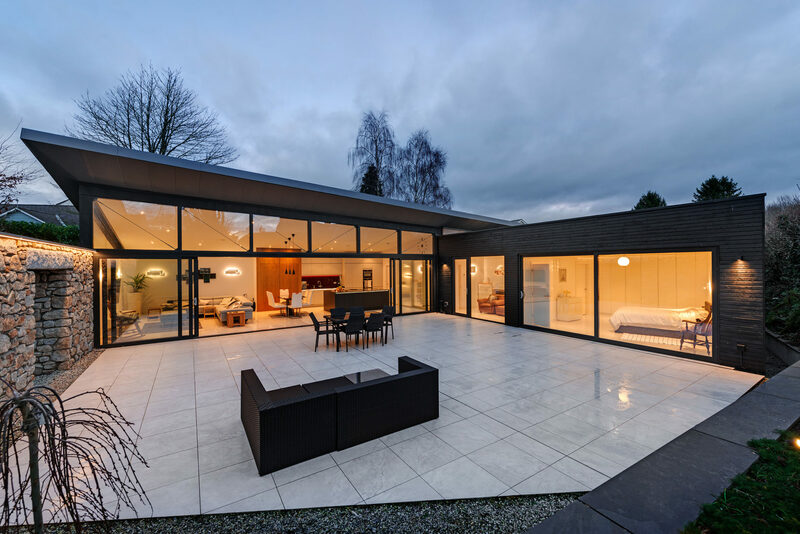 Our clients needed an architect in Ashburton, Devon to provide them with a Full exterior and interior design service for their New build house. 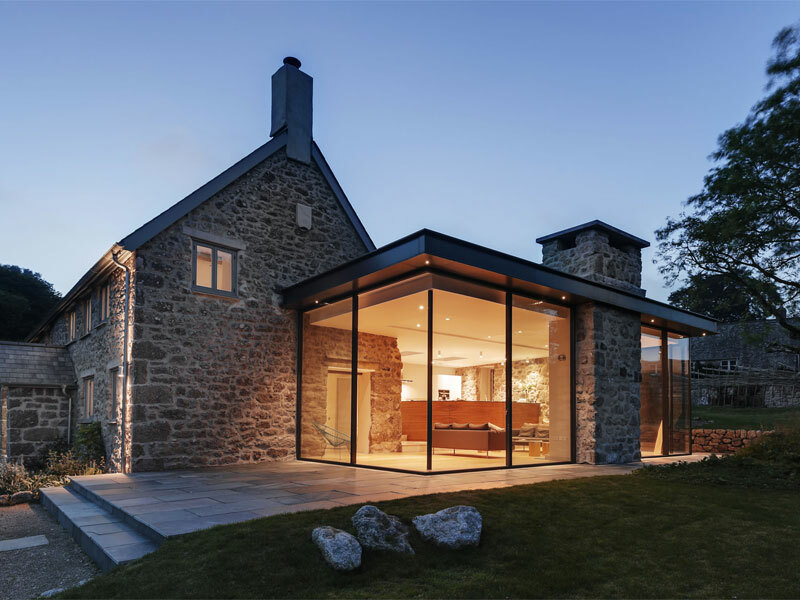 Lower Linney is a new build bungalow on the edge of Dartmoor, South Devon. 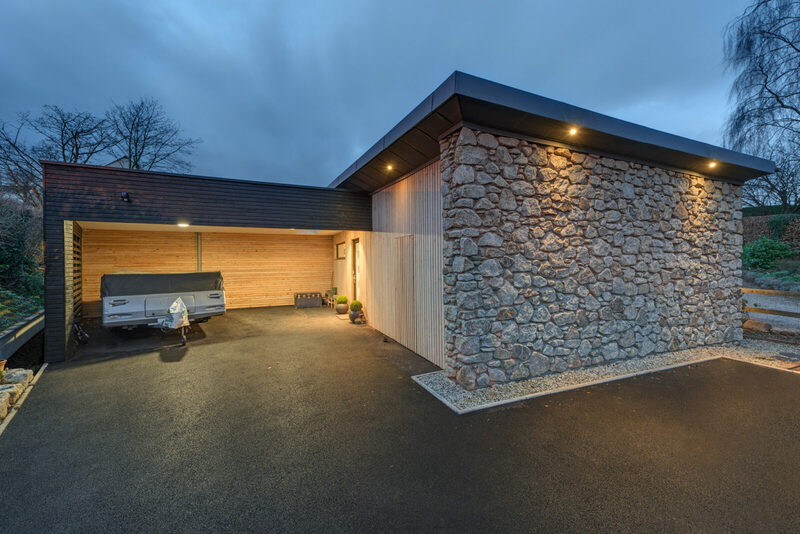 A pre-fab chalet was previously located on the plot. 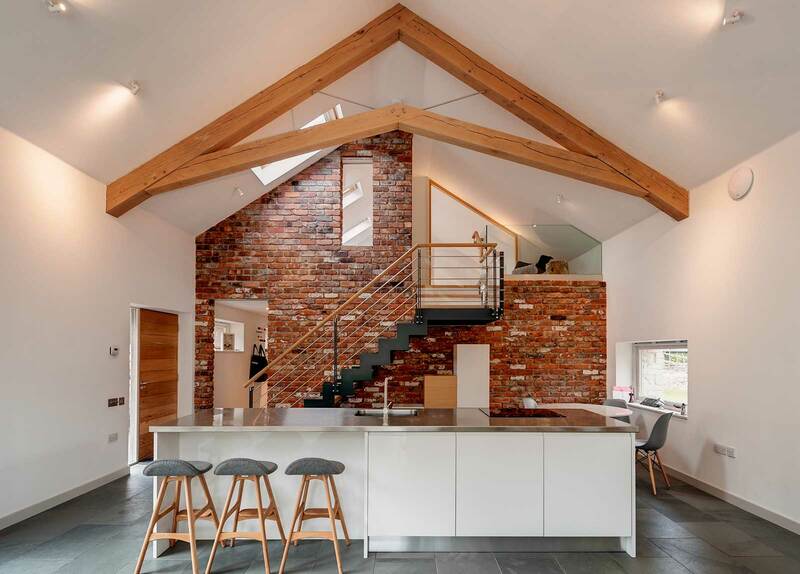 This was demolished and replaced with a contemporary new dwelling. 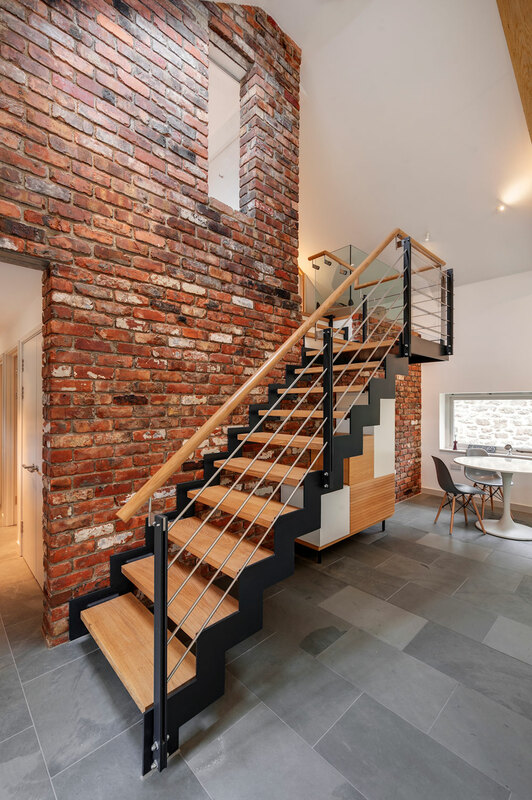 The unassuming timber and granite walls of the street entrance protect a hidden gem beyond. 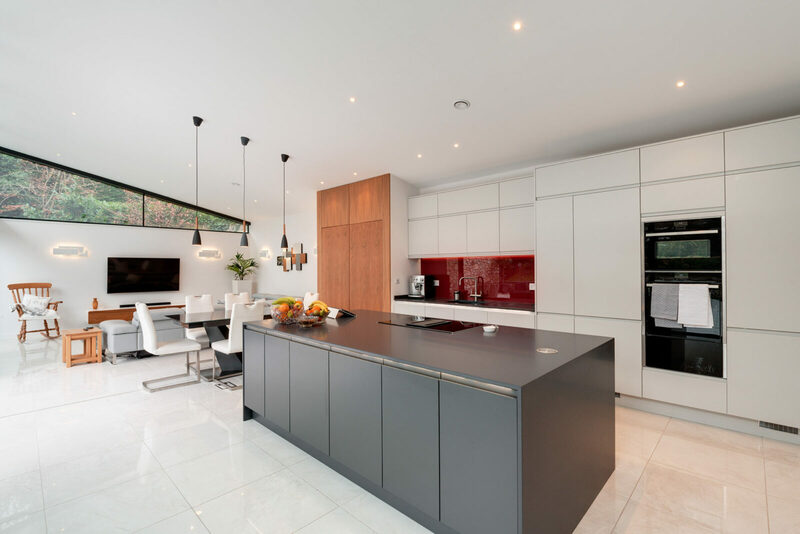 As you enter the house, and move through the central spine corridor, the main kitchen and living space opens up. 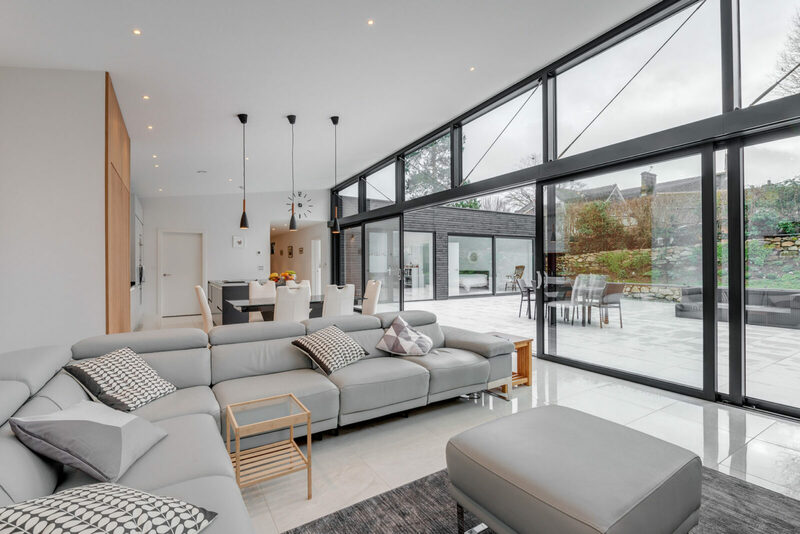 This large open plan room has a vaulted, twisting ceiling, and is flanked by a huge wall of glass that faces onto a central courtyard garden. 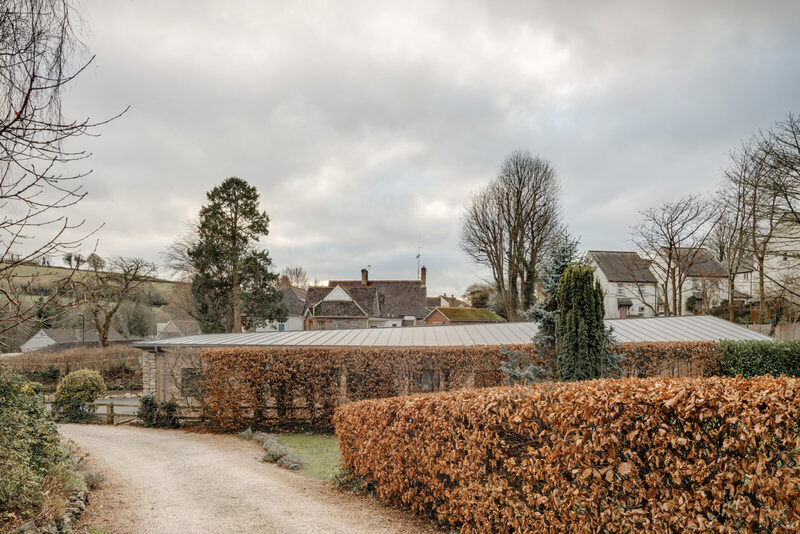 This ‘walled’ garden was an important client requirement from the outset, and is naturally protected from the urban surroundings by trees and hedgerows . 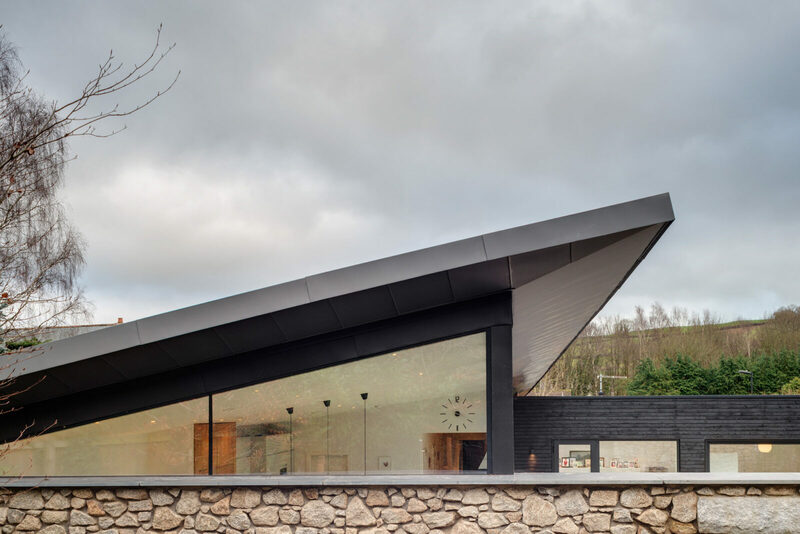 The house is roofed in zinc with a twisting surface that provides height and drama in the main room of the house, above the glazed wall. 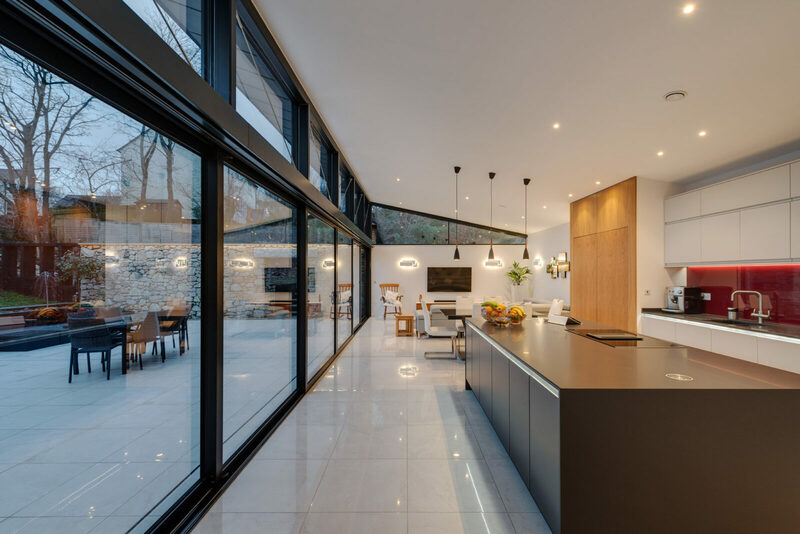 This mono pitch roof creates a bespoke triangular window at the end of the living space – providing a glimpse of the trees beyond as you look through the length of the room. 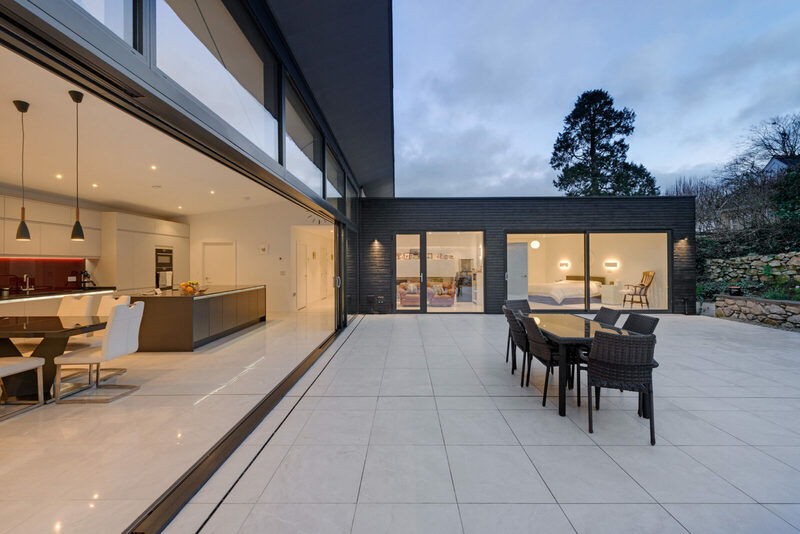 An 11m run of sliding doors are able to fully open up the living space to the courtyard garden. 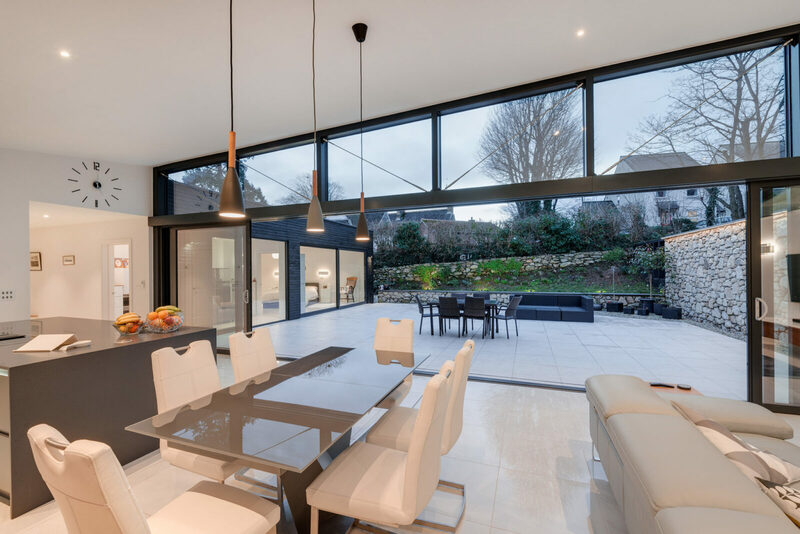 One large bespoke steel girder allows this huge expanse of sliding doors to be free of any columns.